Patrick Fitzpatrick, Alex Zimmerman, and Brent Rogers create beautiful hand-blown glasses and decanters out of their studio right here in Chicago. 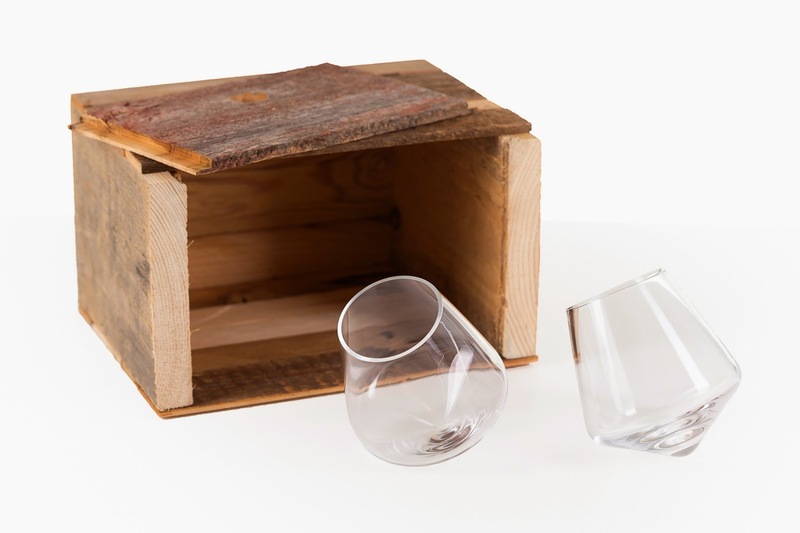 Perfect for beer, wine, or spirits, you can purchase them in various sets, which include a wooden base to house the pieces. These glasses are special because of their pointy base; when placed on the table, they spin (or swoon, if you will) around on a point, without spilling the contents. The rotation of the glass also provides the perfect amount of agitation to release the flavors and aromas of the beverage held inside. Available on their website or Etsy store. 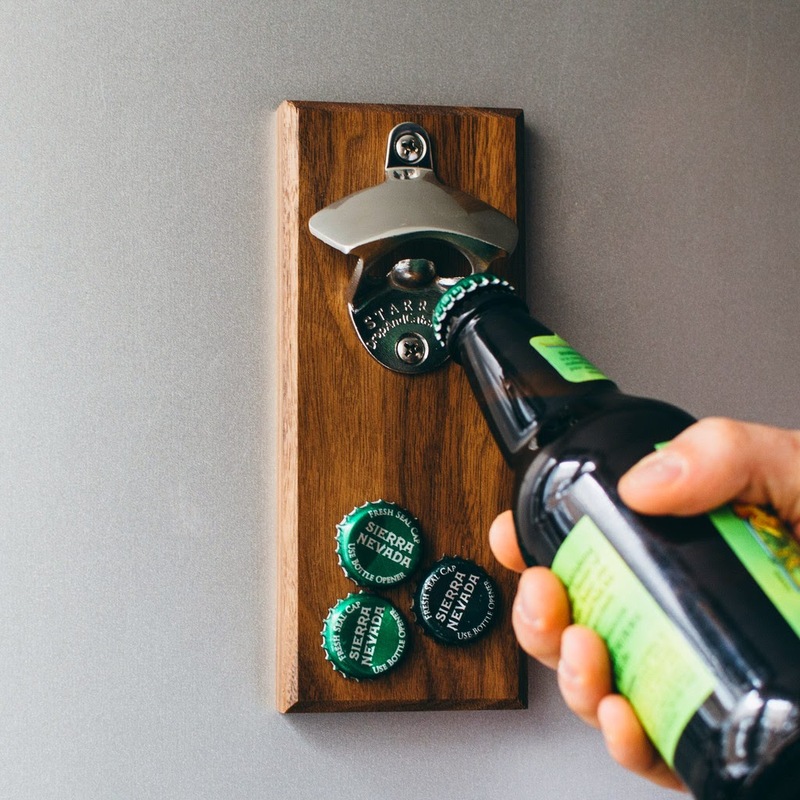 A bottle-opener attached to a smooth slab of stained wood, this piece uses magnetic power to catch bottle caps as they are popped off. One unit will catch as many as 60 bottle caps which accumulate below the release mechanism, or you can go big and get the opener that catches 100 caps. This piece, created by Joe Walsh, can be wall-mounted or will magnetically attach to the fridge. 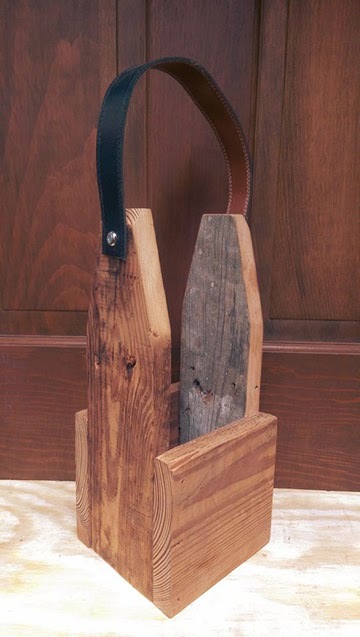 He also creates wooden 6-pack carriers and handheld openers, all available on his website. If you’re looking for illustrated, handmade home goods with a focus on beer, look no further than RedCruiser, created by Heidi Schweigert of Minneapolis, MN. Heidi’s beautiful and playful beer and food illustrations can be found on tea towels in black & white, on a set of four pint glasses, or as full-color, frameable prints. 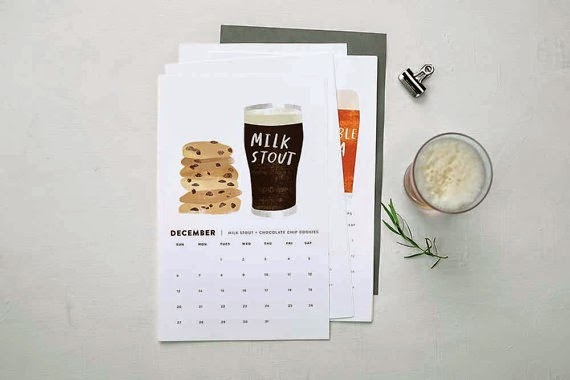 I purchased the Beer & Food Calendar so I could enjoy her illustrations all year. All items, plus more are available in her Etsy shop. Emblazoned with phrases that would make a pirate blush, these oat-colored 22oz. 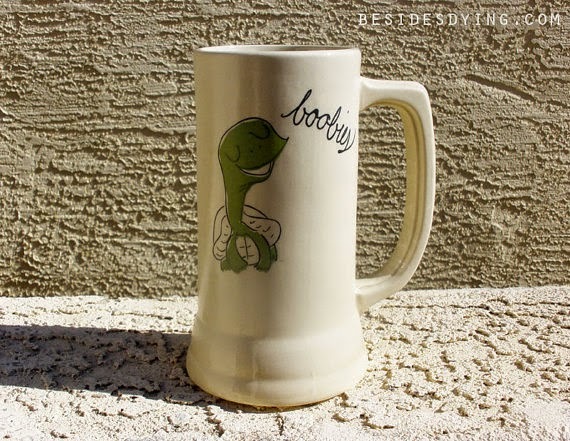 steins are not for your grandmother, unless your grandmother loves dirty words. The steins’ original illustrations of hilariously humanlike animals come from the mind of Julie R. Madison, and can be purchased from her Etsy shop. 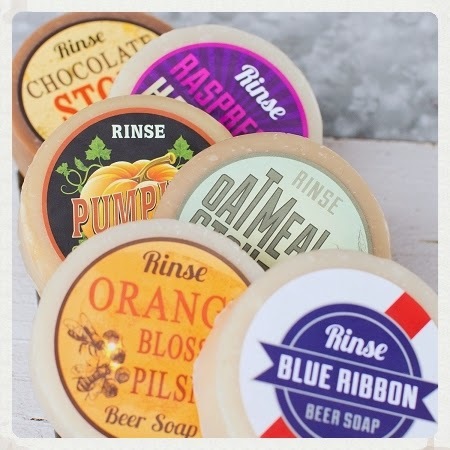 After those beer steins, you’ll need to wash your mouth out with soap… beer soap, that is! Heather Swanepoel hand-makes these beer soaps in a variety of scents, including Orange Blossom Pilsner, Pumpkin Ale, and even Blue Ribbon! I tried their Chocolate Stout soap, and found that the chocolate and roasted aroma of the stout really came through in the soap’s thick, bubbly lather–very nice! Available on her website. Rebuilding Exchange here in Chicago uses reclaimed materials to create unique home goods with remarkable character. They made a variety of products, including furniture, and even teach building workshops. Available for purchase from their RxMade Store is a beautiful large-format bottle carrier with a leather strap, or you could opt for their bottle opener or wooden coaster set. All available on their store website.